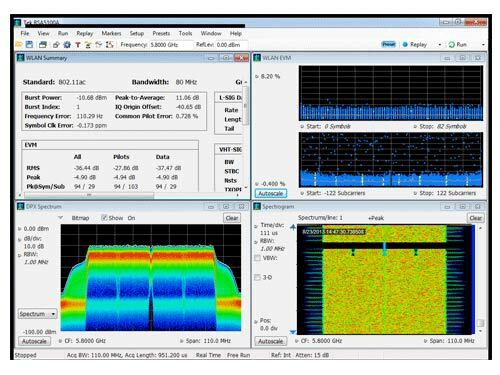 Visualize and characterize devices and components with precision and accuracy using the powerful, industry leading RSA5000B Real Time Spectrum Analyzer. 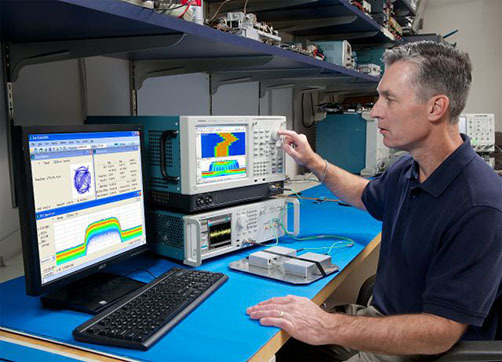 This advanced spectrum analyzer makes high performance and sensitivity measurements for spurious signals much faster than other spectrum analyzers, so you can conduct conventional measurements and troubleshoot quickly, accurately and successfully. With its outstanding RF performance, generous feature set and easily accessible standard controls, you can rely on the RSA5000B every day. The impressive sweep speed with high sensitivity lets you complete a 10 GHz span sweep with a noise floor of -110 dBm/Hz in just 22 seconds, and multiple traces, markers and standard measurements are always at the ready. The RSA5000B offers signal analysis that’s both wide and highly accurate. The accuracy allows you to make higher margins in your measurements. The fact that it is wide allows you to rest assured that you’ll find what you’re seeking. Discover the most difficult, hard-to-find problems with industry-best, powerful real-time architecture. 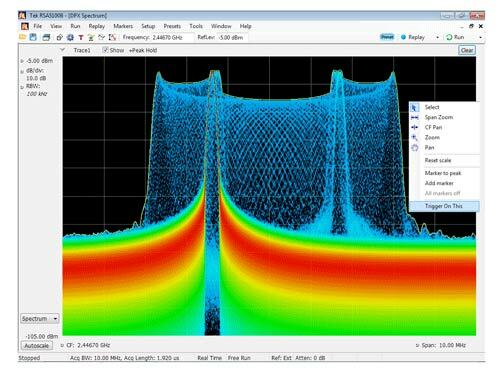 Advanced, proprietary DPX® technology lets you see RF characteristics practically invisible to a conventional spectrum analyzer. Fully controllable and independent settings for Span, RBW, VBW in real time displays. 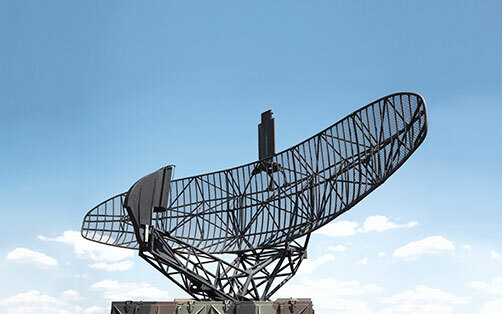 Verify and validate that radar and electronic warfare systems and subsystems are working as intended, and troubleshoot when they are not. 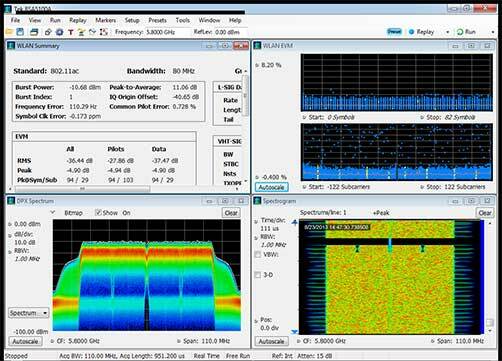 Control analysis from the time domain to get better insights into the frequency domain to ensure proper operation. See and test the smallest details and the larger trends of pulsed signals. Unmatched "stare" bandwidth helps detect, classify and locate signals of interest, making the RSA5000 ideal for interference hunting. 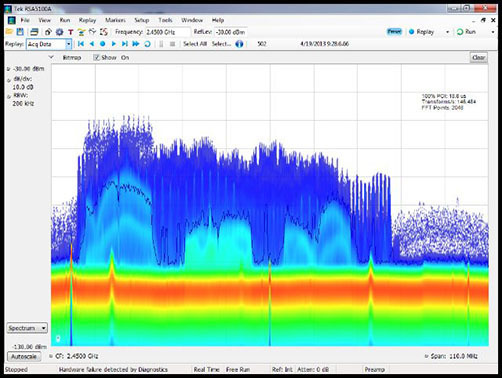 Detect bursted signals of interest and low signal-to-noise ratio signals other analyzers miss, and rely on long record spectrogram for signal history and frequency mask trigger with alarms aids documentation and unattended monitoring. 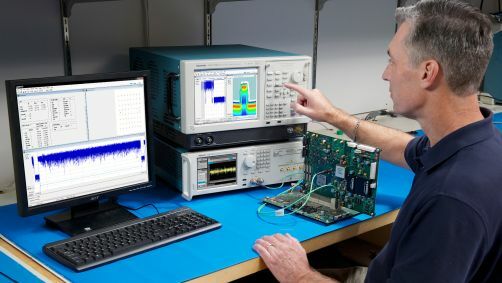 Perform pre-compliance measurements with quasi-peak detector and spurious measurements to quickly asses DUTs and ensure they will pass final EMI compliance testing. If there are failures, use powerful Real Time Spectrum Analysis (RTSA) to understand the mechanism and quickly identify root cause. 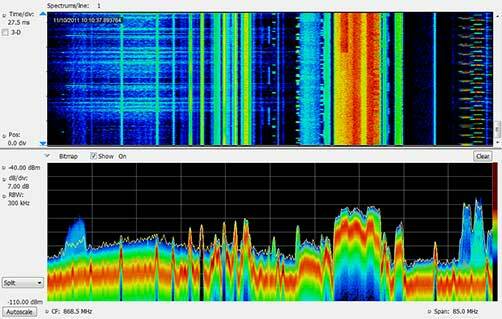 Discover infrequently occurring signals, trigger on them, capture the signal into memory and analyze the signal fully. 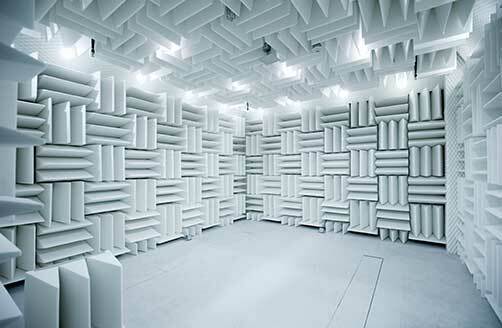 Track down problems with the interaction of hardware and software, power supply noise, and other difficult to measure aspects in the RF space. Instrument application firmware for RSA5103A, RSA5106A, RSA5115A and RSA5126A Real-Time Signal Analyzers. Instrument application firmware for RSA5103B, RSA5106B, RSA5115B and RSA5126B Real-Time Signal Analyzers. This document helps customers with data security concerns to sanitize or remove memory devices from the RSA5100A Series Real-Time Signal Analyzers. This manual provides tutorial examples of how to use the RSA6100A Series Real-Time Spectrum Analyzers and RSA5100A Series Real-Time Signal Analyzers to take measurements in different application areas. This document provides complete product specifications and explains how to verify that the product is performing according to the specifications. This document contains information that is necessary to install a product software kit. The RSA5UP Option 53 kit instructions describes the installation of the 4 GB Memory Extension Upgrade in an RSA5100A Series Real-Time Signal Analyzer. This document describes how to install Option 56 (Removable Hard Drive), Option 57 (DVD-R/W and Internal Hard Drive), and Option 59 (Internal Hard Drive)in an RSA5100A Series Real-Time Signal Analyzer. This document explains how to install the Option 10 Audio Analysis upgrade in RSA5000 and RSA6000 Series instruments. This document explains how to install the Option 52 Frequency Mask Trigger upgrade in RSA6100B Series and RSA5100A Series instruments. This document explains how to install the Option 20 Advanced Signal Analysis Software Upgrade. This document explains how to install the Option 12 Settling Time Measurements Software Upgrade.